There are a number of things you can do to make it more difficult for bed bugs to infest your bed. Vacuum your bedroom often, particularly the area around the bed and the bed itself. Reduce clutter. Don’t keep piles of clothes, boxes, toys, shoes, etc. on the floor, under the bed, or in closets. They provide hiding places for bed bugs. Buy bed bug proof mattress covers (encasements) and put them on your mattresses and box springs. 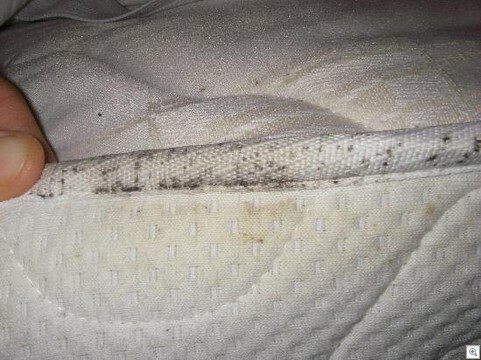 The encasements trap any bed bugs hidden inside the mattress and box spring so that they can’t come out and bite. They will eventually die. The encasements also prevent any new bugs from finding hiding places in your mattresses and box springs. You can purchase encasements online or from pest control supply companies and medical supply stores. Prices range from $25 to over $95 each depending on their quality, size, and thickness. Choose encasements specially designed to protect against bed bugs. We sell inexpensive Bed Bug encasements and services in Trenton, NJ and Philadelphia, PA.
Use bed bug interceptors on your bed. These are small traps which will trap/contain bed bugs prior to getting to your mattress and we sell them at our Trenton, NJ and Philadelphia, PA locations. Pull your bed a couple of inches away from the wall so that it is not touching the wall. Regularly inspect bed frames and the seams in your mattresses and box springs. Do not scavenge mattresses, beds, or other furniture that others have thrown away. Carefully inspect used furniture, rental furniture, used luggage, and other used items before bringing them into your home. Bed bugs are mysterious insects. They live in the dark in tight cracks, crevices, and holes near sleeping areas. 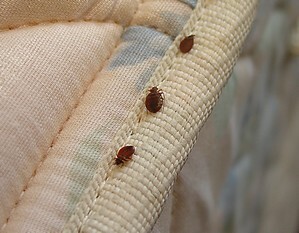 New bed bug infestations are usually centered on the mattress and bed frame. In severe infestations, bugs move out to occupy hiding places further from the bed as well. Bed bugs can hide in beds, furniture, piles of clothing, back packs, and in similar everyday items. They can live for 6 or 7 months between feedings. Picking up bed bug-infested beds, mattresses, or furniture that has been discarded and placed on the street or by a dumpster. Visiting someone who has bed bugs and bringing them back with you on your clothing or possessions. Staying overnight in a bed bug-infested room in a hotel or home can cause you to bring them home in your luggage, purse, or other possessions. Renting furniture infested with bed bugs from furniture rental companies. Buying bed bug-infested second-hand furniture, carpets, blankets, luggage, pictures, and fixtures from stores, yard sales, auctions, and flea markets. Bed bugs can also transfer from one area to the next through pipe and wiring runs, and through wall and ceiling voids, similar to way that cockroaches move between areas. Why Are Bed Bugs So Difficult to Control? Bed bugs feed for the most part during the night, and hide during the day. They are not only existent in beds, but also in furniture, cracks and crevices, wall voids, under carpets, on drapes, in clothing, etc. Bed bugs travel up to twenty feet to feed, and occasionally much further. They can go for months between feedings, and can be reintroduced into a treated home or apartment unit in luggage, used beds or bedding, secondhand furniture, or clothing. They can also correspondingly drift from one room or apartment unit to the next through pipe and wiring runs and in wall and ceiling voids, comparably as cockroaches move. 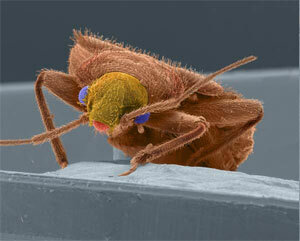 Many pest control technicians do not understand bed bug biology and habits. They don’t recognize where to search for bed bugs, they don’t spend enough time inspecting and treating, and they don’t realize the need for following-up on inspections and retreats. The majority of apartment managers and property managers do not understand the complexity of bed bug control. They just tell their “exterminators” to get rid of them. They often refuse to commit to the cleaning and operational changes crucial to get control. They are often reluctant to pay the price necessary, in terms of dollars and effort, to achieve control. The number #1 reason that retreats are not as effective for bed bugs in homes and apartments is because of the lack of cooperation of residents on the initial treatment visit. Resident cooperation with the pest control company is a must. Because technicians couldn’t have the kind of access to the surroundings and home furnishings as they needed, treatments for bed bugs are not as effective. It’s important that residents follow several important instructions in order to make the most of the initial application. Usually residents will need to strip their beds of all blankets and sheets, completely empty all closets, dressers, and nightstands, wash all clothing and linens and place them inside plastic bags or bins in the living room, and then vacuum before service. In the fight against difficult to remove bed bugs these steps may seem extreme to some. However, to eradicate bed bugs from all clothes and possessions it is necessary to give technicians total access to the surroundings to insure more effective treatment. Years ago bed bugs were effectively contained and eradicated by the use of wholesale insecticide spraying of beds, floors, wall, and furniture by DDT. Because of resistance to DDT and other insecticides, and possible health risks in using them as well, much has changed since those early days. 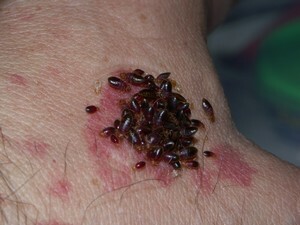 However, the preferred method of controlling bed bugs has not really changed. Insecticides are more heavily regulated than 50 years ago to help protect the professionals and the general public using them, as well as the environment. But, they are still the major tool in getting rid of bed bugs. Another change in combating bed bugs is that insecticide treatments 50 years ago normally only required one application to control them for months (or more). For a variety of reasons the insecticides used today are not nearly as effective against bed bugs. Today, many companies insist one treatment is usually not enough and that retreats for bed bugs are now the rule more than the exception. We have had excellent results on just one visit because of our unique and comprehensive method of control. While we do charge per treatment, and by no means guarantee full eratication with only one visit, we have had great success. We have many references available from satisfied customers. Early American colonists in their writings told how they first encountered bed bug problems. Eighteenth century documents explained their terrible bed bug problems in the English colonies and in Canada. At the time they had no insecticides to use and so infestations were usually ongoing. Sailing ships of the time were especially infested with bed bugs. 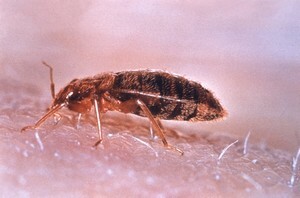 To help deal with the bed bug problem, they would often prevent passengers and colonists from bringing bedding on board. 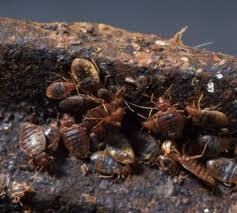 During the early 20th century bed bugs were rated one of the top three pests to deal with in and around structures. Practically every American at one time or another had been bitten or at least seen a bed bug in person. In many cities as many as 1/3rd of all residences were said to be infested with bed bugs. And, in lower income areas virtually all residences had bed bug infestations. It’s no wonder that the term “public enemy number one” came in to being. What happened? By the 1950’s beg bugs seemed to be disappearing, at least in developed countries. Even entomologists (insect specialists) were finding it difficult to find live beg bugs for laboratory work. Why? DDT happened! DDT was the first effective insecticide to control the bed bugs. By simply spraying or dusting the DDT on and around bedding, bed bug control would be provided for a year or more. And, while DDT resistance soon began to happen, effective control still occurred through other chlorinated hydrocarbons, chlorinated hydrocarbons, particularly lindane, and eventually the organophosphate insecticide malathion. Today, bed bugs are making a comeback big time. In the mid to late 90’s, bed bugs started appearing more and more in hotels and motels, even premium ones, and in apartments, single-family homes, nursing homes, and hospitals. Recently, bed bugs have become national news, with media exposés on bed bug attacks in five star hotels. There has been a clear and major reappearance of bed bugs throughout much of the world. The increase has been documented for the United States, Canada, Australia, parts of Europe, and parts of Africa. Inexperienced people dealing with bed bugs are often unaware of just how intense an inspection is needed to accurately determine the total number of pockets in a bed bug infestation. The initial bed bug inspection must always be thorough, and it’s always recommended that a full post-treatment re-inspection be done to make sure no bed bugs are still present. Are you squeamish around bugs? Better wear gloves for protection. Carefully pull back the covers and look for blood spots on the sheets. It’s recommended that you standup the mattress. Unless you remove the box spring and flip it over it’s impossible to find all the bed bugs in a bed. Check all seams of the bed. A prime location for a bed bug is resting upside down on the underside of the box spring where the box rests on the bed frame. It’s important to gaze inside the box spring, too. Try shining a flashlight through the gauze fabric on the bottom of the box spring. Sometimes it’s best to even remove the stapled fabric in order to inspect inside. In order to make sure that you’ve found all the bed bugs, it’s important to not limit your search to just beds. Look at the other furnishings close to the bed. Take out all dresser drawers and inspect them, looking for any crevices where they may be hiding. Similar to cockroaches, bed bugs like to squeeze into narrow spaces. Look under stereos, behind wall pictures, in the crevice behind the baseboard, in stacks of clothing, and in other equipment. Check the tack strips under wall-to-wall carpeting and behind your baseboards…where bed bugs often hide. Remember that bed bugs can frequently crawl upwards, so also inspect drapes, wall decorations, and cracks in the ceiling-wall junctions. Your nearby rooms may also be visited by bed bugs that attach themselves to articles of clothing and accessories such as purses. 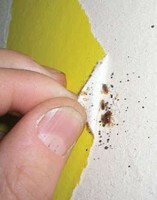 Inspect those other areas in the home where a possible secondary bed bug inspection could likely occur. Because many people spend a significant portion of time on the couch or in an easy chair…they become easy targets for bed bugs to inhabit. Remove cushions and inspect the seams and crevices of the furniture. Always look underneath the couch and chair, especially checking behind the skirts and at the seams. Effective bed bugs pest control requires total inspection of your home and furnishings. A thorough bed bug inspection takes time! But it’s the only way to be successful.